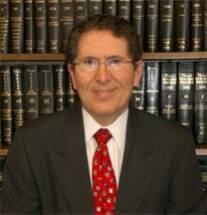 My name is Leonard M. Roth and I handle all aspects of divorce and family law and have been in practice since 1972. I have a unique philosophy in handling family law matters. I believe that every client deserves individual attention and the best representation possible. I recognize the emotional trauma and pain individuals suffer when going through a divorce. As a result, I offer my clients the time and the experience necessary to guide them through one of the most difficult experiences in their life. I educate them regarding the law and procedure, so that they are prepared for the experience. In every case, I offer a variety of methods to resolve cases, ranging from collaborative forms of alternative dispute resolution to aggressive and experienced trial representation. My representation is all inclusive including Divorce, Parent/Child Relationships, and Collaborative Law. I also review and draft marital agreements, such as pre-nuptial and post-nuptial agreements. As a board-certified family law specialist, I am also qualified to handle adoptions, terminations, and parentage or paternity matters. If you are looking for an experienced lawyer who has the distinction of being recognized as a certified specialist, and who can offer you complete representation in all areas of divorce (dissolution of marriage), custody issues within divorce, custody issues outside of marriage (SAPCR-Suits Affecting the parent-Child Relationship), Modifications of Orders, Child Support and Enforcement (Contempt) of Orders, count on me for the quality and compassionate representation you need.